Something about summer makes me feel fruity. 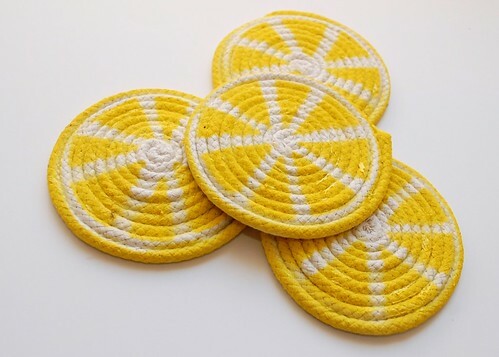 I've made orange slice tote bags, pineapple string lights, watermelon sunglass cases and now lemon slice coasters. My love affair with coiled laundry line also continues (remember my painted tribal dish, tie-dyed planter and sticker resist vase). I'm surprised it has taken me this long to join fruity rope forces. 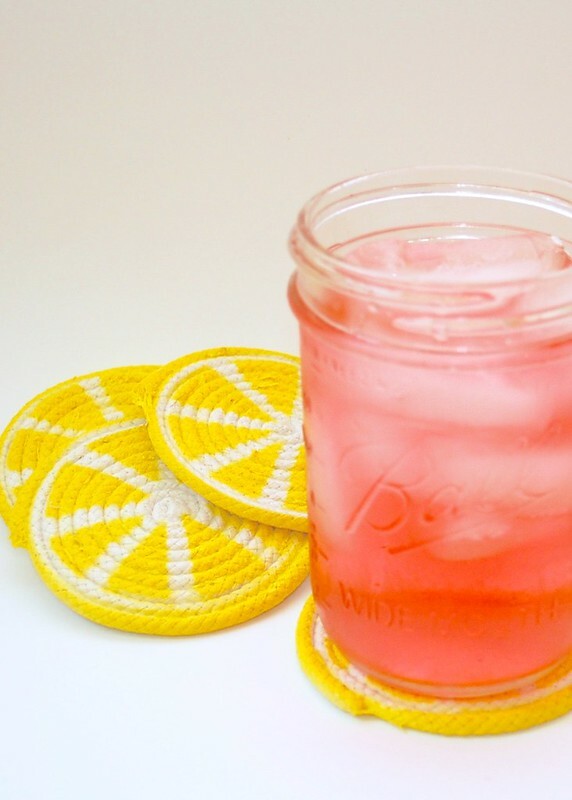 These coasters are so stinking cute (and easy) I'm glad I finally did! 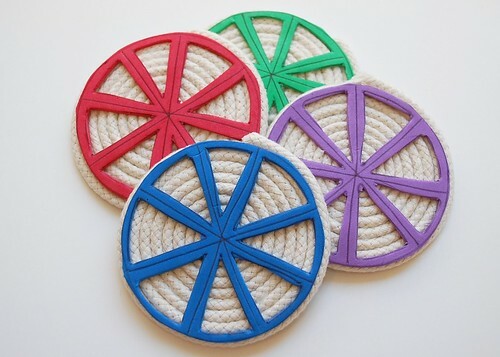 Using Tacky glue coil your laundry line into coaster size circles. Allow to dry completely. Also, make sure they dry flat. 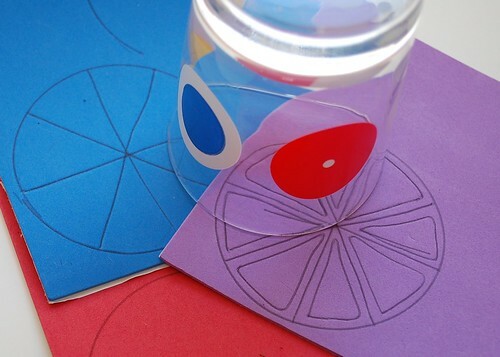 Use a cup slightly smaller than your coasters as your guide to draw 4 circles. Inside the circles draw a pie with equal(ish) slices. Lastly, draw triangles slightly smaller than your pie slices. 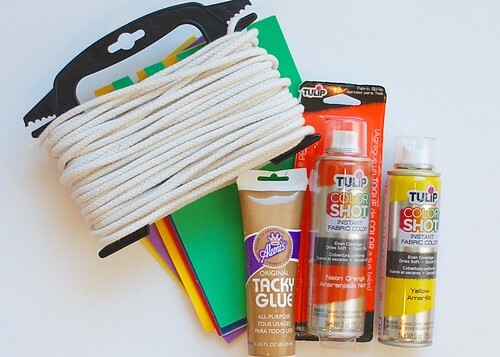 Use a craft knife to cut out your triangles taking care to leave the rest of the foam in place. 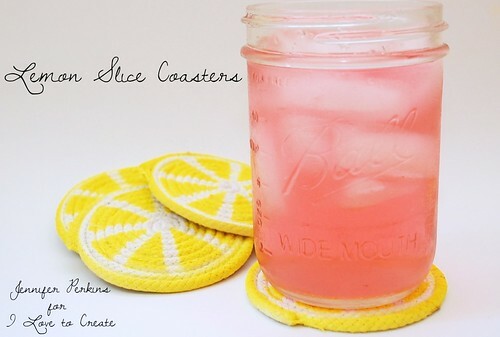 Peel off backing and add to your coasters. 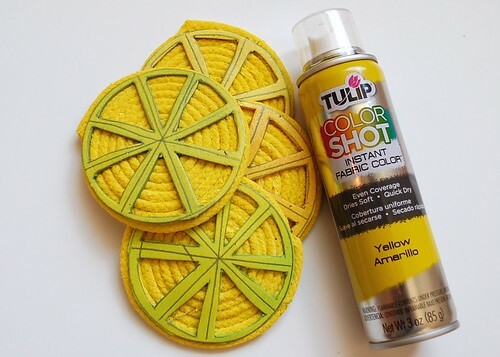 Take your coasters outside and in several light coats spray with Tulip Color Shot. Allow drying time in-between coats. 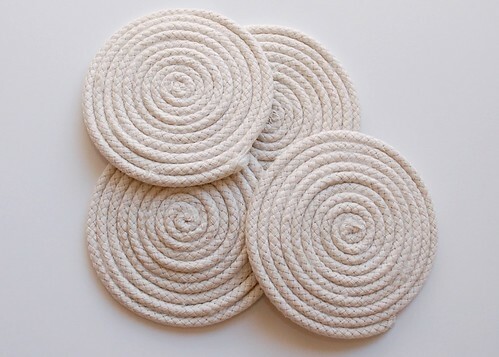 You can see that the foam is acting as a resist leaving white spaces on your coasters or pith. When your paint has dried completely remove your sticky back foam. 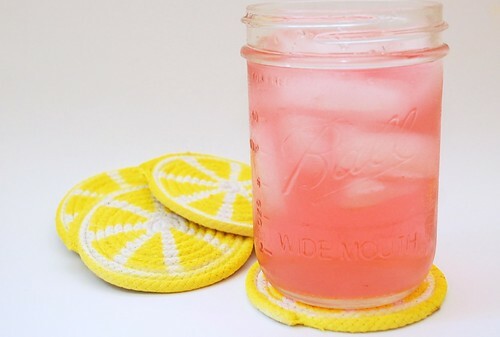 Sit back, relax and enjoy an ice cold Mason Jar full of pink lemonade resting assured that you are not leaving any rings on the coffee table.